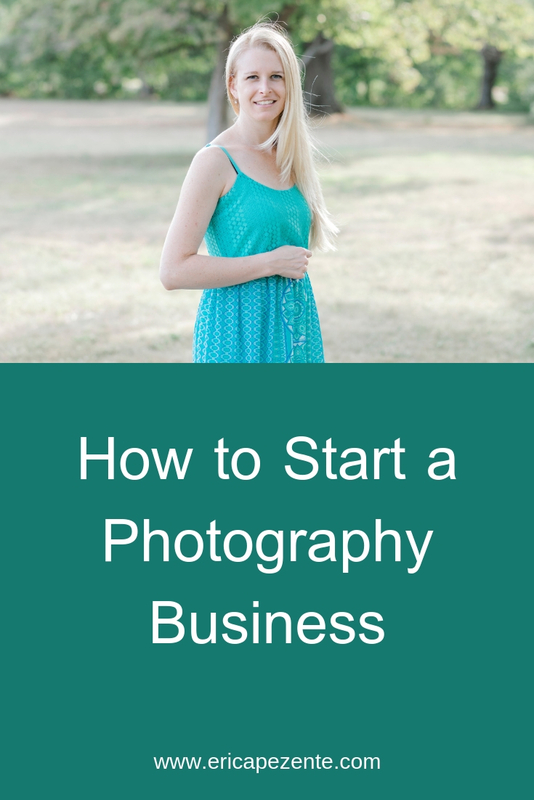 My biggest piece of advice is if you’re going to start a photography business treat it like a business. You’'ll have expenses (photography gear isn’t cheap either) and if you’re putting in a lot of hard work you deserve to make a profit. Here are 11 things to focus on in the very beginning of your photography business if you’re overwhelmed and don’t know where to start. I went with Canon simply because I borrowed my roommate’s Rebel and I felt comfortable with it. If you want to use Canon, I recommend starting with the Canon 6D. It’s a full frame camera that does very well outside. It’s biggest limitation is low light situations, if you increase the ISO too much it gets very grainy. It also has only has one slot for SD cards. If you’re going to shoot weddings you need two slots in order to have a backup. I started with a 6D and now I shoot on a Canon Mark IV. As far as lenses I would start with the 50mm. It’s extremely versatile and it’s an excellent portrait lens. Just keep it simple and go with Your Name Photography. I was Past Perfect Photography for awhile and I eventually changed to Erica Pezente Photography. You can read more about that switch here. I recommend going with your name for a few reasons. You friends and family won’t know that you’re a photographer in the beginning. It will take them a little while to make the connection that their friend Sarah the teacher is now Sarah the photographer. If you name your business something like Tiny Moments Photography it’s going to be a lot harder for your friends to recommend you if they can’t remember your name. They’re much more likely to remember Sarah Smith Photography instead. Look up the rules for your state, I had to apply for an EIN number from my state and register with my town. I use The Hartford and I’ve been happy with them so far. You never know when someone is going to break your gear or fall and injure themselves. It’s important to protect yourself. A good small business accountant will find you deductions you didn’t know about and make sure you’re on the right track with your taxes. If you’re charging people money you need to pay taxes. The IRS will find you and they’ll want their money. I use Quickbooks Self Employed to keep track of my income and spending. Start with family and friends. Tell them you are practicing and building your portfolio and you’d like to offer them a few free photos for their time. I would recommend asking people to model for you privately. If you post on your Facebook page that you’re offering free shoots people may come to expect that from you. Once you have a portfolio start posting to social media consistently. Only show your best work and only show what you want to shoot more of! I recommend Squarespace, Showit, or if you’re good with coding; Wordpress. I use Squarespace and it was a little bit of a learning curve but now it’s super easy. I love that I can modify pages and rearrange my content. Your website is your storefront. It legitimizes your business and provides potential clients with information they need to trust you. You’ll need the editing program Lightroom and I recommend finding a course that teaches you the basics and what each slider does. Creative Live has a lot of great courses and their are photographers who teach editing too. It took me a long time to learn how to edit and find my style. Like years. Don’t get frustrated if you can’t create beautiful images right from the get go. Let yourself be terrible for a little while, you’ll eventually figure out your style! There are lots of great presets out there but try and identify your style goals before you buy a bunch of presets. I recommend Shootproof to any new photographer. You can sign contracts, take payments, and deliver images all on one platform. Create a Facebook page and Instagram account for your business. Try to post a few times a week sharing your work and what your company is about. What makes you different and what’s it like working with you? Shootproof- The client management software I would recommend to any new photographer. You can sign contracts, take payments, and deliver images all on one platform.